Zee's lineage speaks for itself. The sire of his litter (Aztec's American Pie--call name "Chevy") acquired a full quiver of awards. Among these is being crowned the National Amateur Field Champion two of five years. Zee's maternal lineage is equally accomplished. His mother was the noable Amor's Amsel Zum Ziel. Zee is about 70 Lbs of solid muscle, and stands at 26" at the withers. 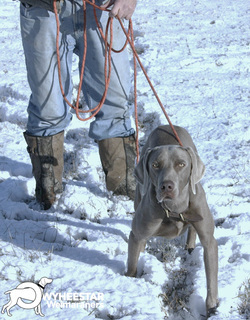 He is a great hunting companion, and has produced many nice offspring--some are companions. Others are hunting companions. He is a very friendly, energetic, and outgoing boy.